This past week was not my most productive as I was pretty worn out each day. I thought that by the second week of being back in the classroom, I would have more energy. Unfortunately that did not pan out. I made this collage early in the week. I wish I had kept up throughout the week and perhaps I would not have felt so let down each day. I will try harder in the coming week to get in my studio at the end of each day! 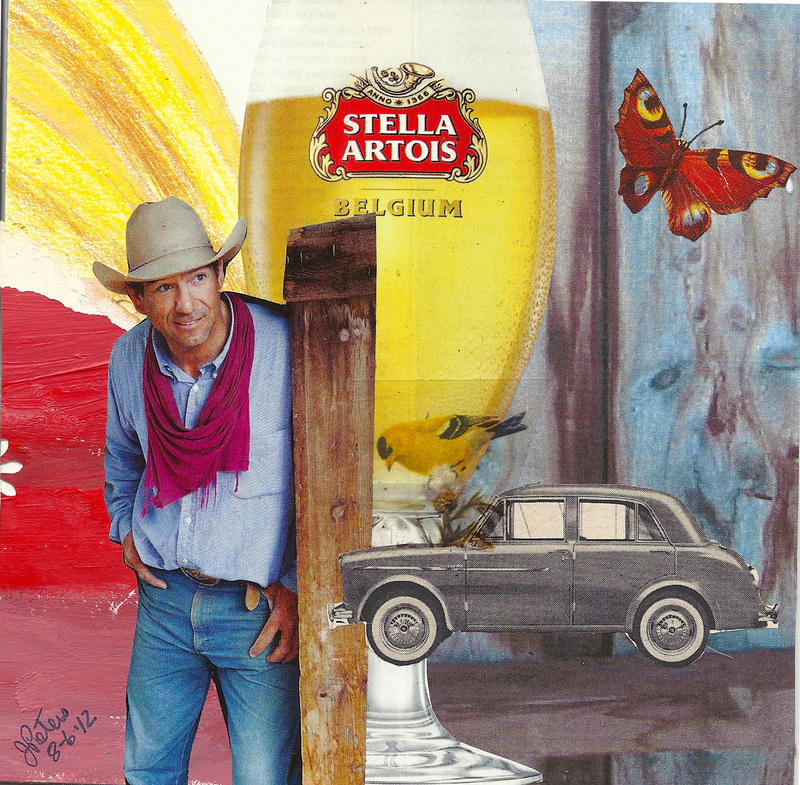 I am up early for a Sunday morning and have finished my daily collage. I have multiple art projects to work on today, all different forms of collage. It will be a good day. Oh how I love Saturdays! I get up early, but not as early as on a work day. I enjoy my iced coffee, leisurely. I make my daily collage. All of this happens before 10am, then I am ready to meet the day. This past week kiddos were back in my classroom. I had a fabulous week and I just know that this will be a great school year. My classes are full, more than full. I have 20 students in my Advanced Art IB (International Baccalaureate) class. That is twice as many as I had last year! It will be a challenge for me when it comes to grading their sketchbooks as I will have multiples to grade every day. I don’t mind, in fact I am pretty excited. Even my Drawing & Painting 3-4 class is maxed out with 31 students! I am excited that so many 1-2 kids wanted to take the next level course. 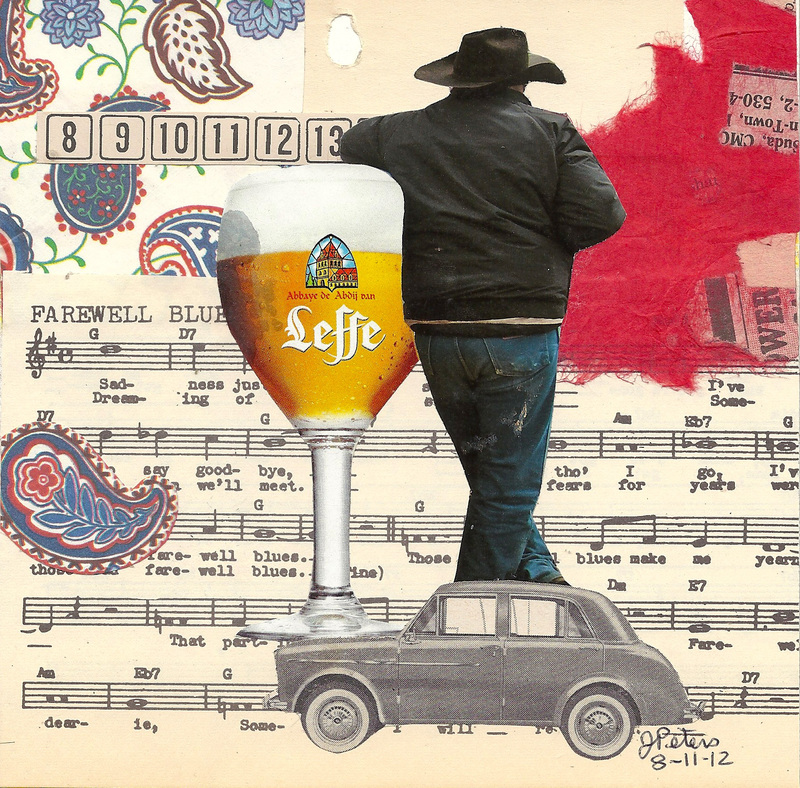 I did manage to create a few collages this week, in the evenings, when I needed time to myself. 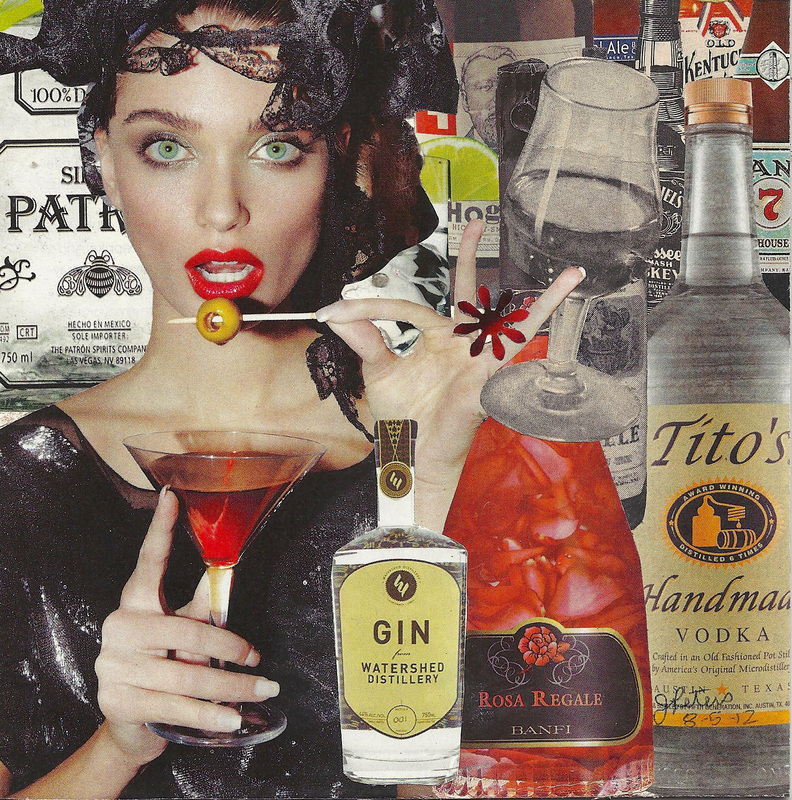 Since my collage titled “Pick Your Poison”, I have continued a theme of alcohol and handsome men….go figure. 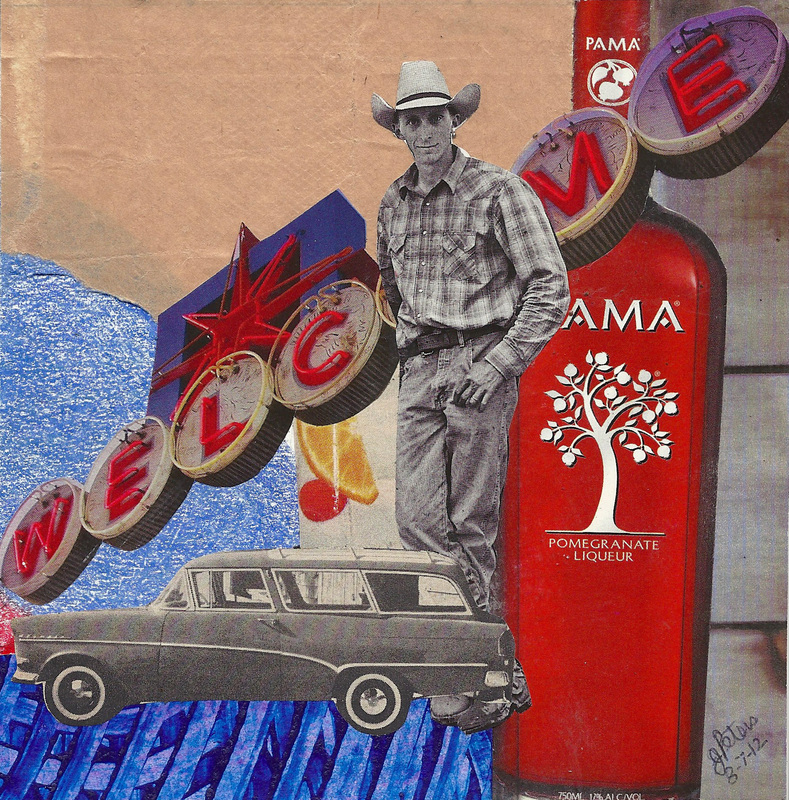 I was looking through the book, “The Art and Craft of Collage” by Simon Larbalestier and came across a collage by Archer/Quinnell. 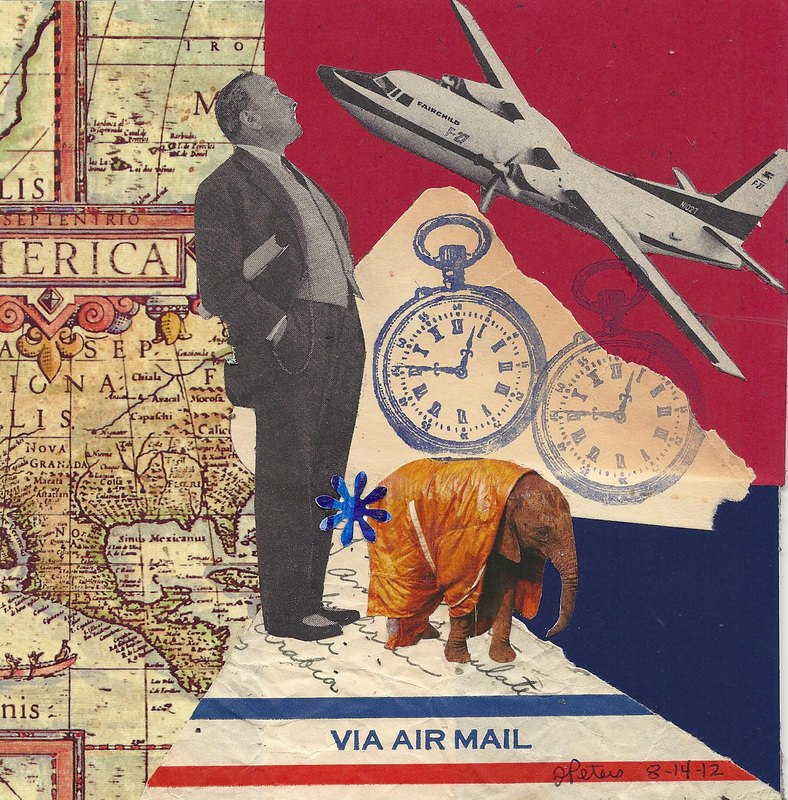 The collage consisted of nostalgic images of brand labels, with a few people interspersed throughout. It displayed a strong Pop Art influence. 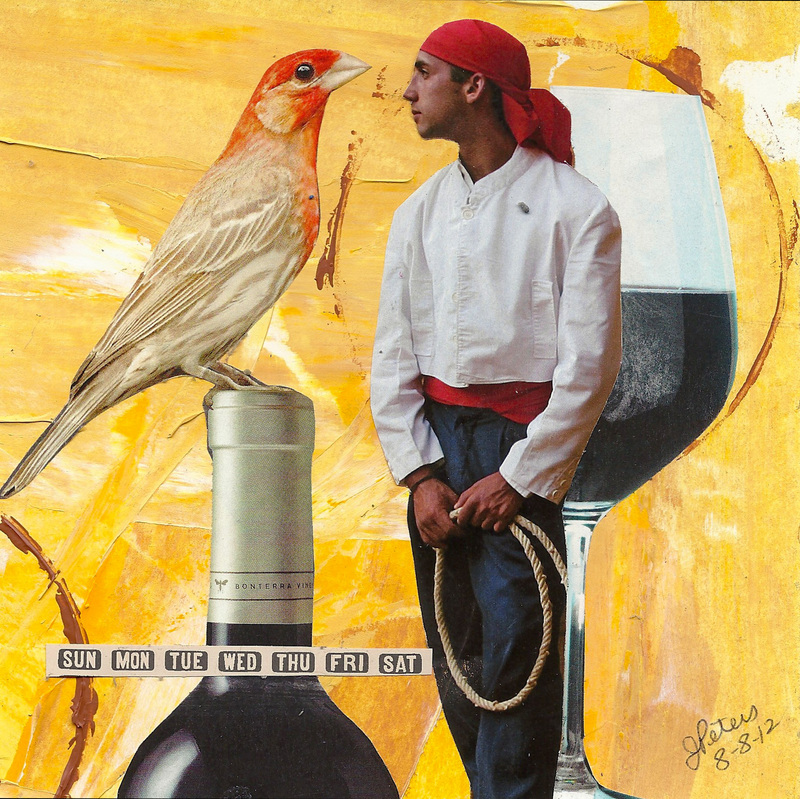 The collage started me thinking and I gathered together a few food and beverage images that I had on hand and went in search of more. While some of Archer/Quinnell’s images were actual remnants of packaging materials, mine were all images found in magazines I have on hand. A few of the black and white pieces came from a 1959 issue of Newsweek while the remainder were found in more contemporary magazines. I narrowed my focus and went on a beverage quest. This collage is the end result. 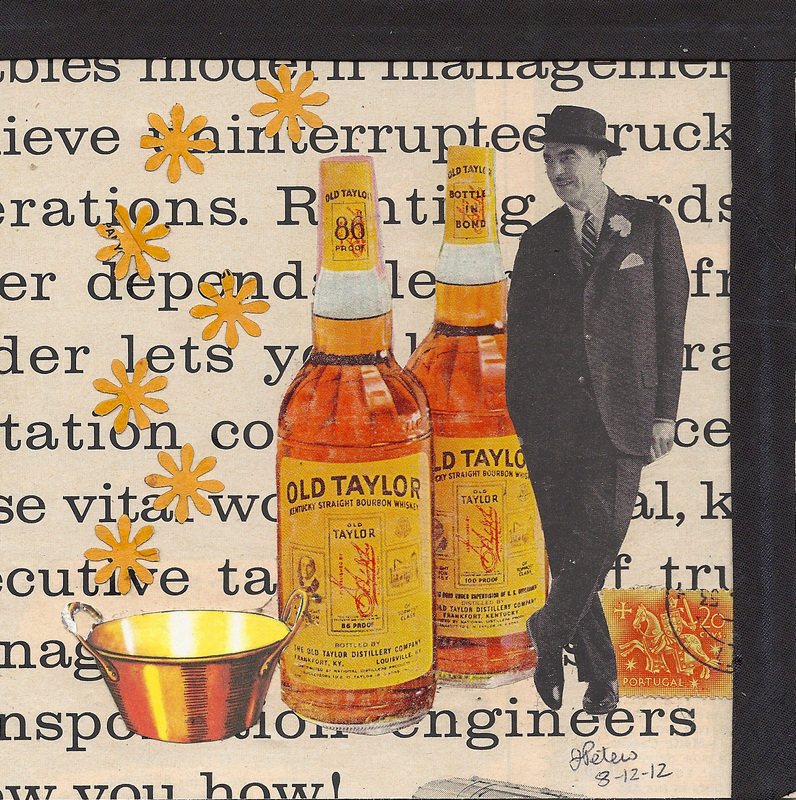 My sister Jenni has asked for the collage as she wants to display it above her liquor cabinet. I will matt and frame it and sell it to her for $25…what a bargain! 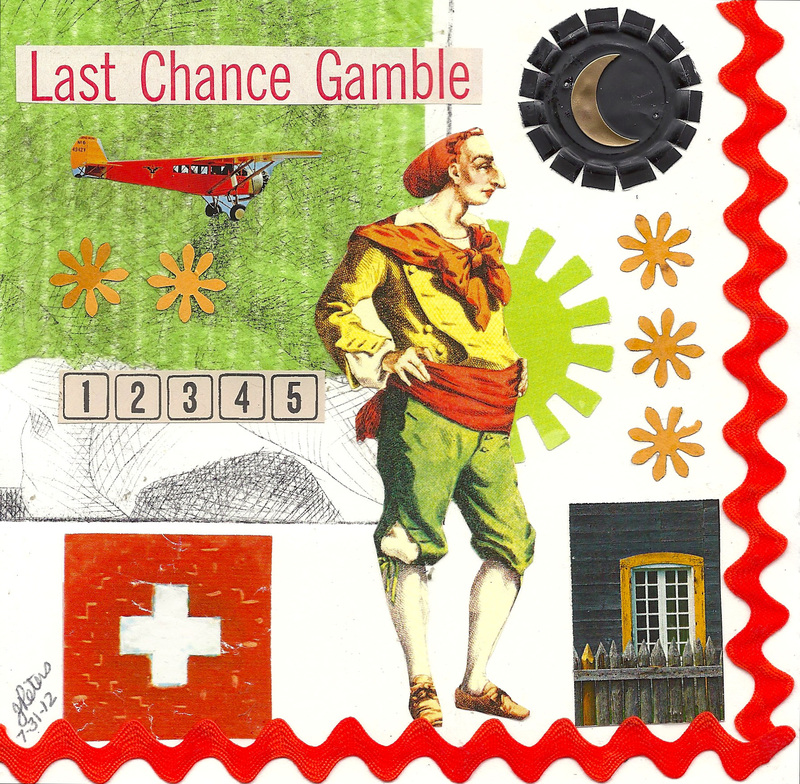 This collage uses the last of the squares cut from the chine colle, drypoint failure that I experienced. I have been back in the classroom this week, getting ready for kiddos, so I have fallen off on making a collage every day. In fact, this collage was actually made earlier this week, I am just now getting around to posting it. I will need to set myself a goal of continuing with the collages, even if it means I am working in the evenings in my studio with less than adequate lighting. I really should do something about my lighting!